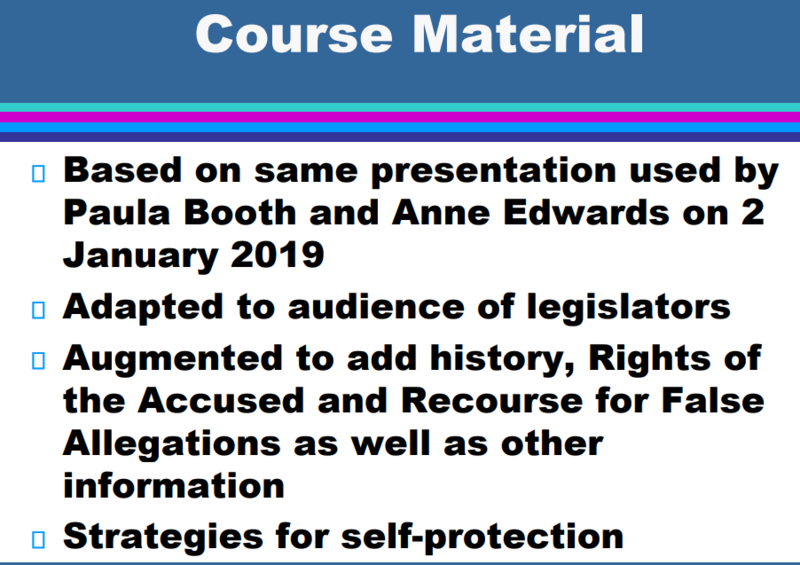 The slide show Rep. Jess Edwards used in training included a list of course material about protecting from false allegations and a number of different slides than Associate Attorney General Anne Edwards used. 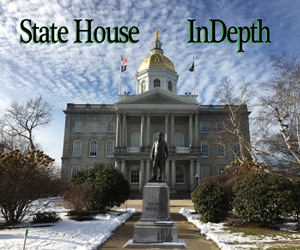 CONCORD – House Speaker Stephen Shurtleff has agreed to accept anti-harassment training the House Republican Alliance provided to 31 members in place of the mandatory program required by a recently passed rule. Shurtleff, a Concord Democrat, said he has met with state Rep. Jess Edwards, R-Auburn, who provided the training to the 31 Republican House members last month, after originally being skeptical it would pass muster. “I was concerned that it wasn’t open to all House members and staff and hadn’t seen the syllabus before the training and the slides,” Shurtleff said. But after Edwards provided him with the slides and information that he shared during the training, Shurtleff agreed to accept it, but cautioned Edwards to alert his office beforehand if it is going to happen again. Edwards was pleased with Shurtleff’s decision. Shurtleff had also accepted training by the state for a House member who is a firefighter who asked to be exempted. “I would like to compliment the Speaker on his reasonable position,” Edwards said, calling it a “good news” story. “I would like to return the good faith. We’re all just trying to make the New Hampshire House a place where everyone can be respected,” Edwards said. Spillane said he will be offering the GOP version again for people who missed it. Shurtleff, too, said he will be offering another training session. The vote came after several high-profile harassment complaints against House members were made public last year. Shurtleff said he is moving ahead to set up a system for complaints with an eye to having someone from the personnel department be in charge. “I’d rather have it handled by career human resources personnel so there will not be even the appearance of a conflict,” Shurtleff said.